COLLABORATE: If you are interested in showing your work at Kiosk, please email us with a quick description of your work, a bit about yourself, and several images (or a link to your portfolio). 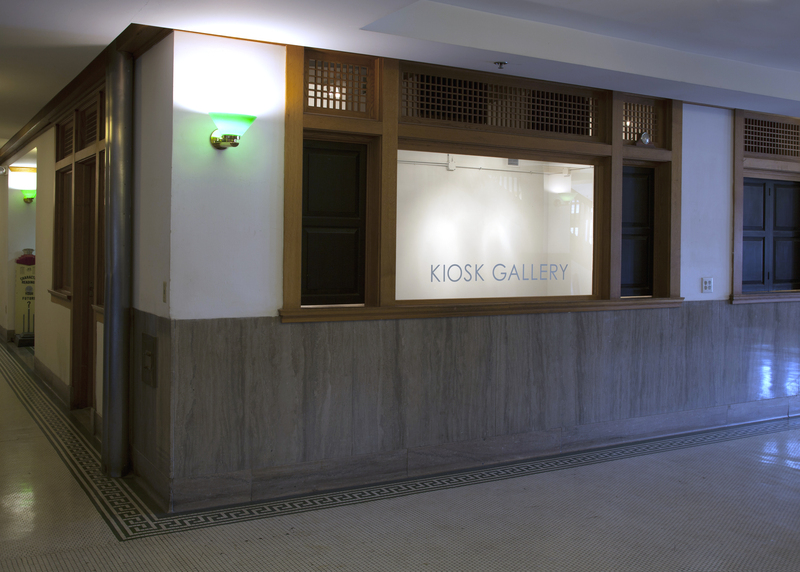 ABOUT US: Kiosk Gallery is an artist-run exhibition space, operating in Kansas City, MO since 2012. Our mission is to bring the work of emerging artists to the public, and to provide a space for artists to grow their ideas and elevate the presentation of their work. We aim for inclusiveness and transparency in art and gallery activities – to help encourage participation and the building of community, and to help educate the next generation of artists. DONATE: You can make a tax-deductible donation to help support the projects happening at Kiosk Gallery by clicking here: Donate Now! Kiosk Gallery is a sponsored project of Fractured Atlas, a non‐profit arts service organization. Contributions for the charitable purposes of Kiosk Gallery must be made payable to “Fractured Atlas” only and are tax‐deductible to the extent permitted by law. Top images: Molly Kaderka, Gary Pycior, and Lynn Benson.